Upon learning about Georgia Tech’s poster printing services I knew I needed to act fast. Way to much of my time is spent shifting through datasheets, looking up how much current a 16 gauge wire can carry or the pinout for an ATTiny45 during a project. 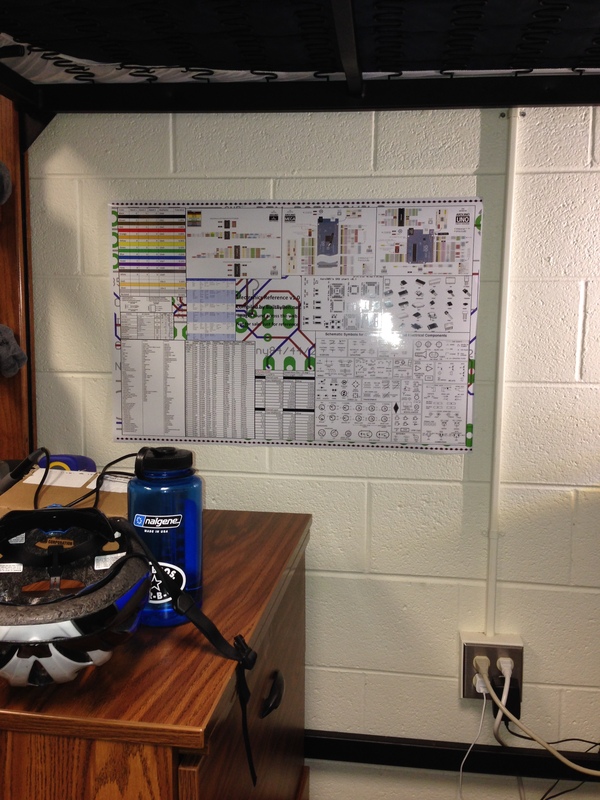 What I needed was 1 poster that had all that information conveniently available. The full image is 9,000 x 6,000 pixels (30x20in). It came out very nicely on Georgia Tech’s printers – high gloss – for a whopping $4.58. You should be able to get the full version by clicking on it to open in a new page. Then save the image (6.1MB). Let me know your thoughts/additions for v2. It fits in nicely with the soldering iron (bottom left behind the box). 1) I am not an artist and did not have access to Photoshop, so I used Microsoft Publisher to make this. 2) These are photos and screenshots I took from across the web. Very little of the content on this poster was actually created by me. 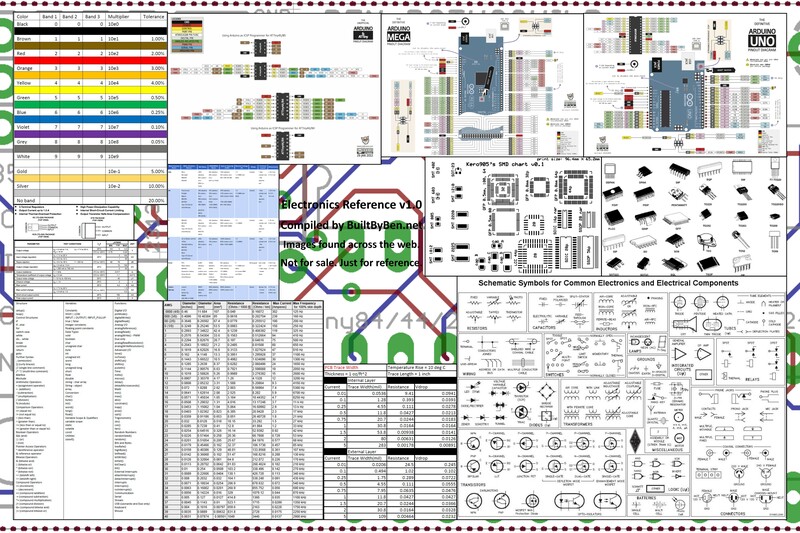 This entry was posted in _ and tagged datasheet, electronics, poster, reference, v1 by Ben. Bookmark the permalink. Ben, could you share an example of CSV file from Kickstarter? I’m creating a delivery service for Kickstarter campaigns and need to know the format to import the list of pledges. Couple of rows with fake names would be enough. Thanks in advance!